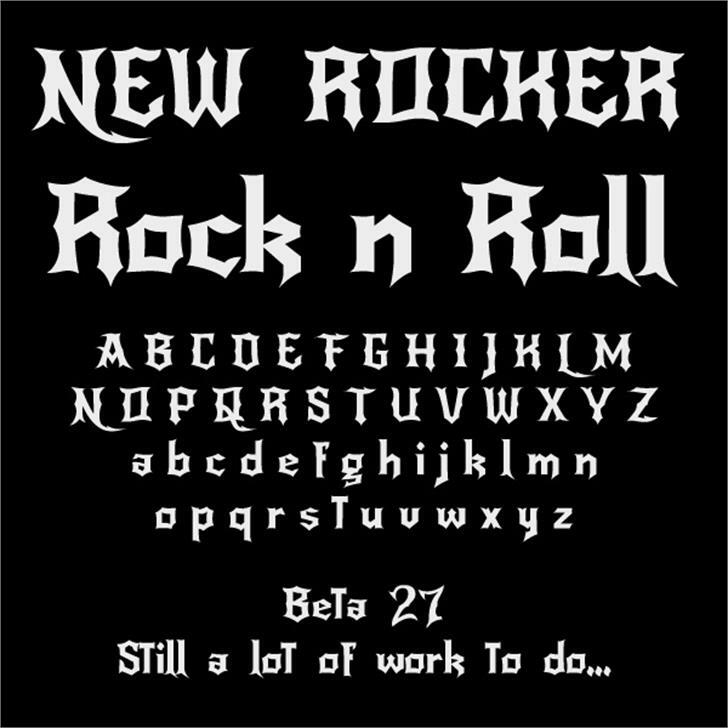 NewRocker is a loud, harsh, screaming font. With blackletter, tattoo and heavy metal logos as inspirations. A really cool black letter / gothic combo. Very readable, fresh approach, and going into my list of favorites. My only suggestion is to PLEASE add an umlaut! More umlauts make everything more METAL! I <3 IT SOOOOOOOOOOOOOOOOOOOOOOOOOOOOOOOOOOOOOOOOOOOOOOOOOOOOOOOOOOOOOOOOOOOOOOOOOOOOOOOOOOOOOOOOOOOOOOOOOOOOOOOOOOOOOOOOOOOOOOOOOOOOOOOOOOOOOOOOOOOOOOOOOOOOOOOOOOOO MUCH !! can i use this for a band font? as in Commercial use? Bold, create, yet easy to read. Well done. Copyright (c) 2012, Pablo Impallari (www.impallari.com|impallari@gmail.com), Copyright (c) 2012, Brenda Gallo (gbrenda1987@gmail.com), Copyright (c) 2012, Rodrigo Fuenzalida (www.rfuenzalida.com|hello@rfuenzalida.com), with Reserved Font Name NewRocker.